Buying a watch is an exciting prospect. Today, people often want to express different sides of themselves at different times, and owning a watch wardrobe has become commonplace. The average individual owns between three and four watches - a number that is on the rise. Prestige watches are a particularly popular category, with everything from sport to dress to dramatically different timepieces in the hot spot. With almost 1.2 billion watches produced annually, there is an abundance of styles from which to choose. Be sure the professional jeweler or watch dealer you're purchasing from is authorized to sell the brand. "This is especially true in the case of higher-end luxury watches when sometimes the watch warranty or guarantee is not considered valid by the watchmaker if the dealer is not authorized." Be sure the jeweler is affiliated with a professional trade association, such as Jewelers of America, which requires high ethical standards of its members and provides them with ongoing education. When buying online, go first to the manufacturer's Web site, which will then direct you to authorized online dealers. Quartz watches-- comprising approximately 90 percent of all watches produced today -- are perhaps the easiest, most low-maintenance timepieces one can buy. They need no winding and no special attention. 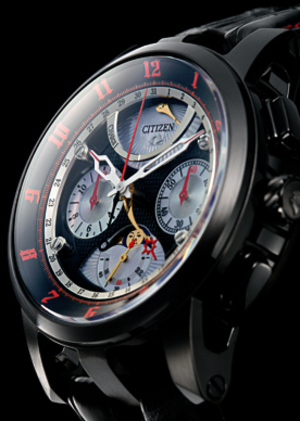 With quartz technology, the watch is powered by a quartz crystal and a battery. The "brain" of the watch is the integrated circuit; the source of energy consists of a miniature battery that typically lasts about two to three years before needing replacement. Quartz watches are extremely accurate, varying only about one minute per year. For the lover of perfection and craftsmanship, mechanical timepieces hold a special allure. A mechanical movement typically consists of at least 130 individual components on a frame with an escapement, balance wheel and hairspring to drive the watch. A manual (self-wind) movement requires the wearer to wind the watch. An automatic movement keeps itself in sync via a motor that turns by the force of gravity from regular movements of the wearer's wrist. Mechanical timepieces, just like a fine car, need oil and re-lubricating every few years to keep them in optimum running condition. Generally, fine watches are offered in steel, 14 or 18 karat gold, or platinum, and combinations thereof. Each metal possesses different benefits. Gold is softer than steel and in very rugged conditions, it might scratch. It is, however, the top metal of choice for fine watch-making, as it offers old world elegance. Platinum, too, is often used by prestige brands as it is the rarest and hardest of all precious metals. Stainless steel and titanium are durable materials that work well as flexible bracelets on sportier watches. The price of a watch isn't always contingent strictly upon the materials used for the case, bracelet or crystal. Often, 50 to 75 percent of the cost of a watch comes from what's inside it. If it's a mechanical timepiece, or a complicated timepiece that offers additional functions and can have as many as 600 or more individual parts, the price is immediately significantly higher because of the work that went into creating the movement. Price is also varied by the extras that a watch may offer, such as a diamond bezel or gemstone markers. These additions make the timepiece more valuable, thus more expensive. Besides the time-keeping functions, many watches have more to offer. 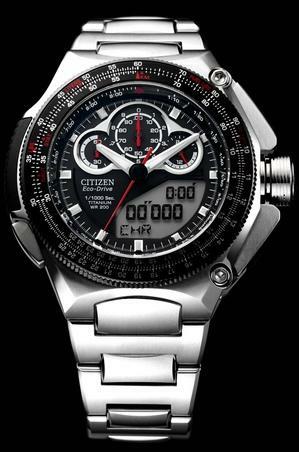 There are chronographs (watches that combine stopwatch functions for measurement of continuous or discontinuous intervals of time), alarm watches (that offer an alarm mode), dual-time zone watches (that offer the time in more than one zone), watches with moon phase indicators or power reserve indicators (that indicate power life left before needing rewinding), and perpetual calendars (that offer a calendar day/date readout that automatically adjusts for months of varying length and for leap years). Reliability is a key factor in choosing a watch, especially a sport watch. To be deemed water resistant, most fine watches are subjected to a pressure test equivalent to a diver's depth of 100 feet. If the watch shows no sign of internal humidity or damage, it can be called water resistant. Degrees of water resistance vary: 50 meters is almost standard, but many watches are resistant to several hundred meters or more. Chronometers, that are tested in a Swiss observatory under stringent conditions in various positions, and extreme temperatures, heights and depths, and are then certified, are considered among the more reliable and durable wristwatches. Every watch manufacturer offers some warranty on its timepieces. Typically, the warranty is for one year, but some companies offer several years and some even offer extended warranties that cover the case or bracelet as well as the movement. Make sure the watch comes with its original packaging, boxing and informational materials.